This is a Milk Loaf. 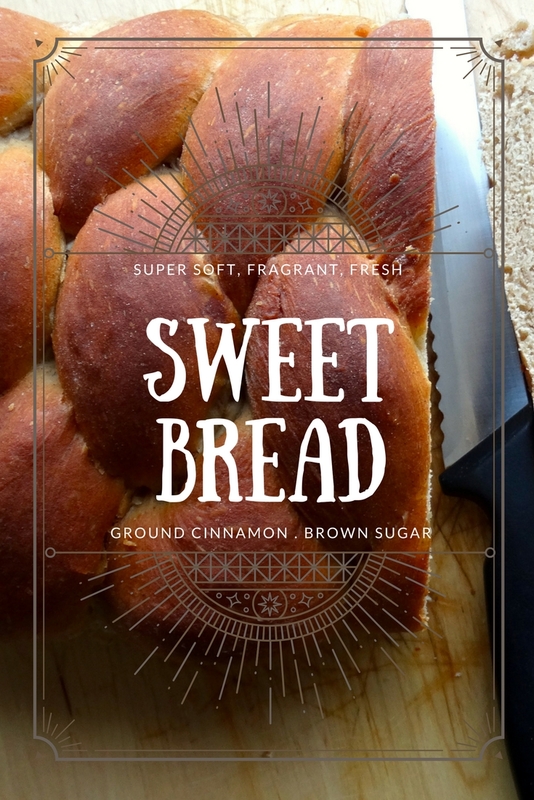 Some people also called it Sweet Bread. Yes, if you have been following my recipe blog, you'll remember that I've just made it a few days ago. The thing about the Milk Loaf previously was, the braiding work was not as perfect as I would like. That was my first time baking a Milk Loaf. In fact a first time for me to handle such a soft dough since the recipe calls for one and a quarter cup of warm milk. This time around I made this 'Kalács' (its Hungarian name ;) and made sure I try the braiding with more attention. 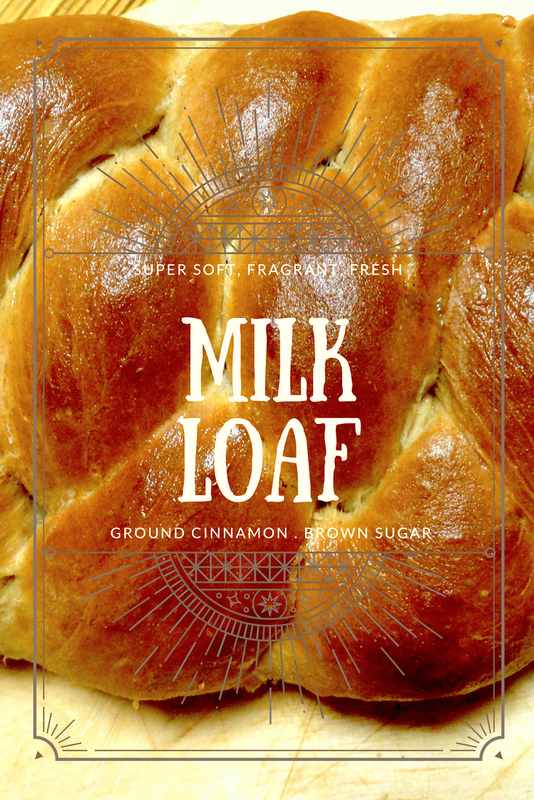 This Sweet Bread recipe is using one teaspoon of ground cinnamon spice and the key ingredients are brown sugar, milk and eggs. Each time I have this combination - cinnamon/brown sugar/eggs when I bake, our home will be filled with such wonderful fragrance. Like a bakery! I always joke with Zsolt (my husband) that "Not Airbnb" and he gets it immediately that means 'Homemade with Love'. Place flour, white sugar, salt, and yeast into the bowl of a stand mixer. In a bowl, whisk together egg, melted butter, warm milk, and vanilla extract; pour into the flour mixture. Add in also cinnamon, brown sugar. Using dough hook attachment, mix on low until the flour is moistened and a dough forms, then increase speed to medium and continue kneading until smooth and elastic, 4 to 5 minutes. Punch down dough, turn out onto a floured work surface, and divide into 2 equal pieces. Roll each piece firmly into a log. Formed them like two overlapped 'V' and start braiding them in alternate order and pinch the ends inward 'hide the ends under' and now it should look like a braid. Place into a greased, loaf pan (in my case I just bake it on parchment paper on a baking sheet). Cover, and allow to rise in a warm place until doubled in bulk, about 45 minutes. Brush the tops of the loaf with melted butter, then bake in preheated oven until loaf is golden brown, and sound hollow when tapped, about 30 minutes. Despite the first attempt that the braiding didn't really turn up after proofing, I still don't give up. I made it again.